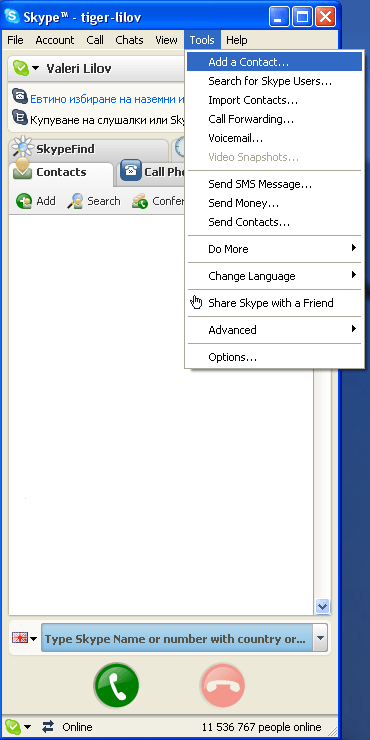 If you do not already have Skype installed, visit www.skype.com with the web browser of your choice to download it. Many browsers will give you an option to run the program immediately, or to simply save the file. If you choose to save the file, find the download folder after the download is complete and run the setup program (called setup.exe). After the setup is complete, run Skype. You will be presented with a login window from which you can also create a new account by clicking on a link. Go ahead and create one now. 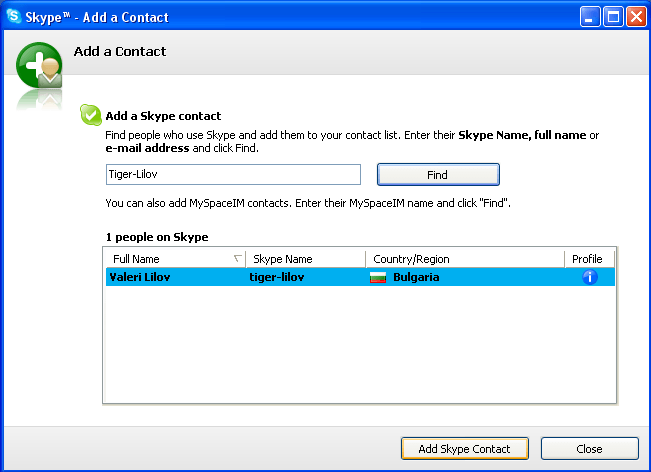 Once you have your Skype name, use it to login to Skype. Add me to your "Contacts" list. You can do this by selecting Add Contact... from the Tools menu, or by clicking on the icon labeled Add in the Contacts tab. Both of the previous options will present you with a search window. Enter "Tiger-Lilov", then click Find. Once the results appear, click Add Skype Contact. Now you can make a test call to the Skype robot to make sure everything is working properly. To do this, select Options... from the Tools menu. 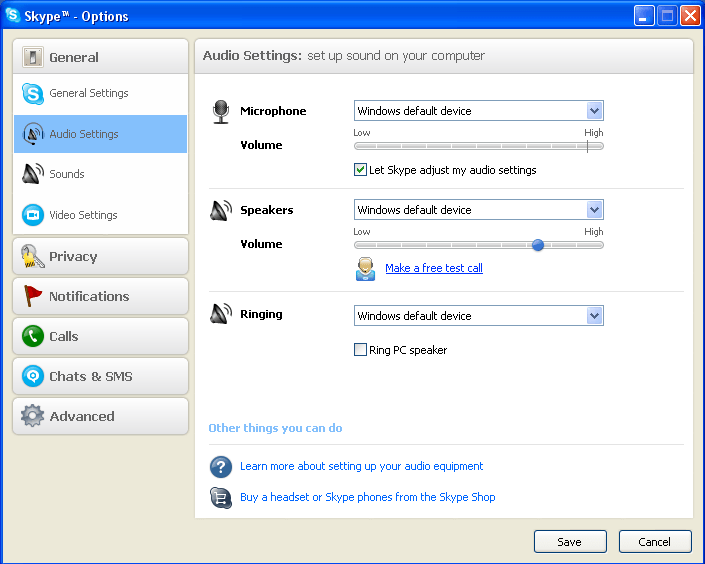 In the window that appears, select Audio Settings. Once there, click the test call option. That's it! Now you’re able to talk with your new chess coach online.